JOHN FRIEDA BEACH BLONDE COOL DIP SHAMPOO & SMOOTH SEAS DETANGLING CONDITIONER. | Life Looks Perfect. JOHN FRIEDA BEACH BLONDE COOL DIP SHAMPOO & SMOOTH SEAS DETANGLING CONDITIONER. I have finally found a shampoo and conditioner duo that works for me! Hurrah! This duo isn't a new release but with only hitting the shelves earlier on in the summer time, it's keeping my new ombre blonde locks looking like a summer! 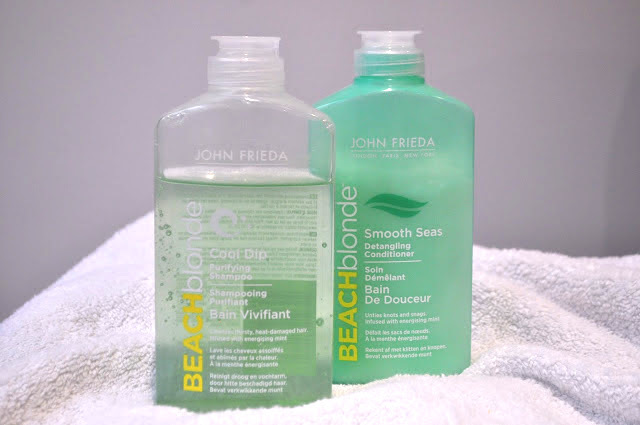 John Frieda Beach Blonde Cool Dip Shampoo (£5.89) and Beach Blonde Smooth Seas Detangling Conditioner c/o (£5.99) are as practical and easy method for giving you that beachy base but without striping your hair to leave it feeling dry. They don't suddenly leave you mermaid hair I must stress but what they do, is leave your hair soft, shiny and fresh ready for your more drying texturising sprays or salt based products that always dry out any moisture I have left in my hair. Or if you are lucky enough for a holiday these would be great to stop your hair from drying out in the sun or see. I of course only have ombre ends, not a natural blonde unfortunately so if your thinking can brunettes use this for the same affect, I say go for it! I love messy hair and the messier the better! That's why these two work so well for me as they provide a healthy base for me to then layer on my products. My hair stays really clean with this shampoo and the minty refreshing scent so addictive! The conditioner too really helps with the knots that tend to be rather stubborn after a week of bush like hair! 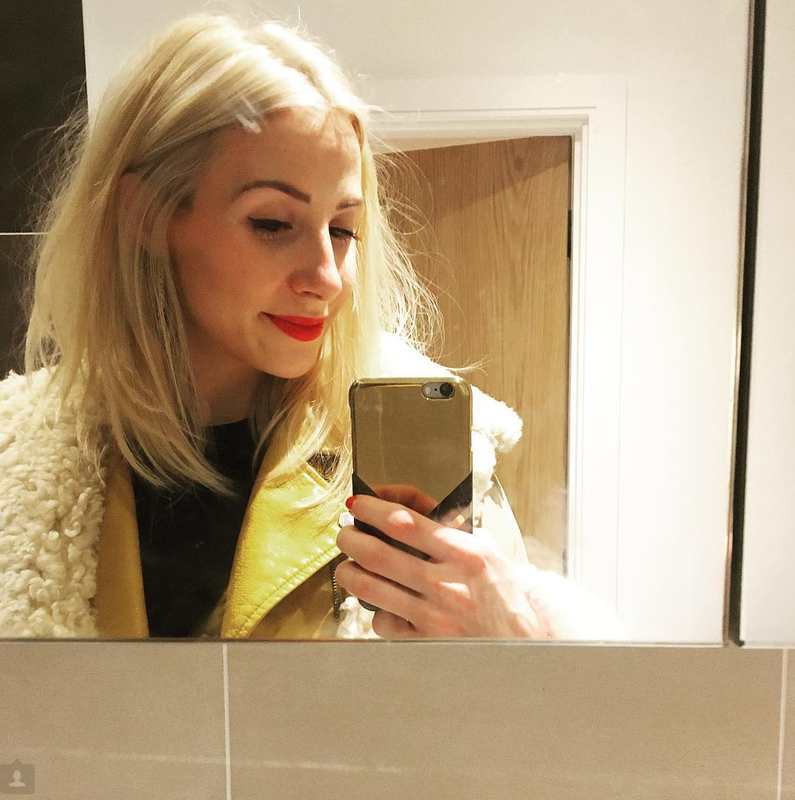 A huge thumbs up from me and use them together for the best affect or separately with a purple toned hair product to make sure your colour stays bright blonde. Have you tried these two before?